MEN OVER 40 CAN BUILD AGE-DEFYING MUSCLE BY COMBINING PROVEN "OLD SCHOOL" MUSCLE SECRETS WITH "NEW SCHOOL" SCIENCE. "Chest + Tris" on Monday (international bench day). "Back + Bis" on Tuesday. For you as a man over 40 with aging joints, a slower recovery capacity from exercise, decreasing muscle building hormone levels, and a very busy schedule, "split routine" workouts will leave you frustrated with slow progress and nagging injuries that never seem to go away (2). HERE'S THE BIG, FAT PROBLEM: Those split body part workout routines you see all over the internet and in the muscle magazines are actually designed for over-caffeinated younger guys in their 20s & 30s who have nothing better to do than eat, sleep, and spend hours in the gym flexing and taking "selfies" in the mirror. HERE'S THE TRUTH: You do NOT need 20 sets of curls each workout to build bigger arms. In fact, as we're about to show you with the new research on this page, you can see better results doing 3 sets of curls 3x/week in the context of a proper full body muscle building workout plan (1). Even though you dream of building a lean, muscular body at your age, you aren't really sure if it's even possible. As a busy guy, you certainly don't have hours to waste in your schedule, slaving away in the gym with no results to show for it. If that descibres you, we know how you feel. Our team of men's health & fitness experts here at the Fit Father Project helps tens of thousands of busy guys with these exact muscle building concerns every year. We know what works! We'll show you exactly what you need to do, to start building muscle today. * Results may vary by individual. Dear friend, let's get straight to the point. You're here because you want to build a lean, strong, and muscular body that you're proud of. YET, as an man over 40, you know how hard and frustrating building muscle is at your age. You're constantly battling nagging injuries that kill your progress. Most cookie cutter muscle building routines are dangerous on aging joints. That's why you need to modify the most effective muscle building exercises to be safer on your aging back, knees, & shoulders while still producing results. You're struggling to find the time to fit long workouts into your very busy life. 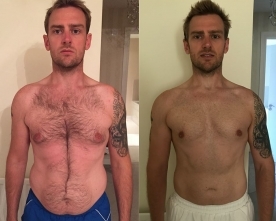 As a busy man 40+, you need a workout program that's simple, safe, time-efficient, & effective. You're making zero progress from your workouts despite how hard you train. If you're not using a routine that's specifically designed for your recovery capacity as a guy 40+, no matter how hard you exercise you won't be able to build muscle & strength. We discovered this fact by looking back into the history books of old school bodybuilding champions and strong men who were able to build and maintain incredibly muscular bodies well into their 60s, 70s, & even 80s. today's totally 'roided out meat heads and countless fitness magazines existed selling the next "magic bullet" solution to building muscle. 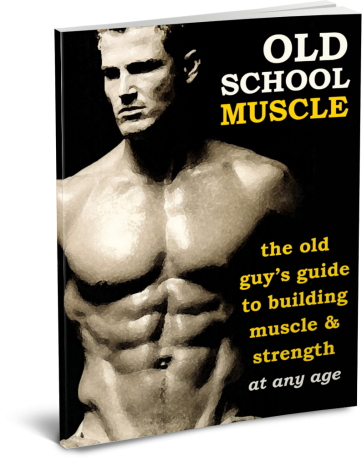 These old school muscle champions knew the simple fundamentals of building muscle after 40 and they used these principles to build the kinds of bodies that today's men only dream of. Most people don't know that Reg Park was actually Arnold Schwarzenegger's earliest muscle building mentor and idol. Reg was the guy who inspired Arnold to train and he clearly knew a thing or two about building muscle past 40. Frank is one of the greatest bodybuilders of all time, and he also knows the secrets to training long and strong well into his 70s. As Frank shares, the key is that he changed his training methods as he got older to adapt to his aging body. Jack Lalanne was one of the most influential fitness icons of who inspired millions and maintained an incredibly physique until he passed away at 96. Jack swam pulling boats and did one arm pushups into his 90s. He knew how to train smart. A groundbreaking new study in the Journal of Strength & Conditioning Research just compared the effectiveness of "split routines" (chest day, back day, etc) vs full body strength training 3x per week on muscle building and strength gains in men. 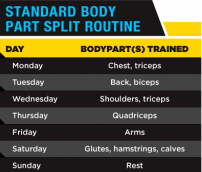 THE RESULTS: The full body strength training group using old school methods gained more muscle and strength - especially in the arms - than the group using today's very specialized split routines (3). These Old School Champions knew that full body workouts spaced in proper intervals throughout the week was the most effective way to stimulate muscle growth while still allowing adequate time for recovery (muscles grow between workouts). THE SCIENCE: After working out, the muscles you actually exercised that day increase protein synthesis to grow (4). 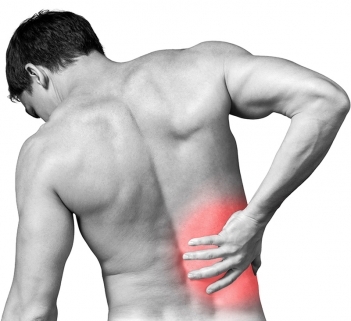 If we only train each body part 1x/week with tons of sets (like split routines), we end up being so sore that we can't train that muscle group again for another 5-6 days. During that time, we miss out on the chance of valuable muscle growth. Old School Champions knew that muscles grow BETWEEN workouts not during them. Exercise is just the stimulus for muscle building; we need to recover to grow. They also knew that their workout routines needed the number amount of sets to stimulate muscle growth without hurting their ability to recover. THE RESULTS: A study from the Journal of Medicine & Science showed that men over 40 respond best to strength training 2-3 times per week as opposed to more frequent training (5 days per week), which negatively impacts recovery (5). Instead of doing all 10-12 sets of a given bodypart on one day (i.e. international chest day) and then getting so sore that you can't train that body part for another 5 days, the new research shows that it's best to split those 10-12 sets up across 3 workouts per week (Monday - Wednesday - Friday) for example. This way, you'll have constant muscle building stimulation without hurting your ability to recover. To build muscle and recover from our full body training sessions, we need the right amount of proper fuel (6). Most guys know that. What most guys over 40 don't know how to do is how to eat the proper number of proteins, carbs, & fats to ensure that you're building muscle and not just packing on fat. Your success in building muscle after 40 hinges completely on you following a proper muscle building meal plan. You can no longer get away with eating crap while expecting to build muscle. If you miss this principle, no training plan will ever work for you. These Old School Champions knew that you needed to "eat big to get big"... with one very important caveat: as we get older and our metabolism slows down, we need to eat the best muscle building foods... yet we can't go overboard on calories like those "bulking plans" where you eat everything in sight that will just lead to belly fat gain. You need a balanced muscle building meal plan that includes the proper foods & portions to ensure you're gaining muscle not fat. 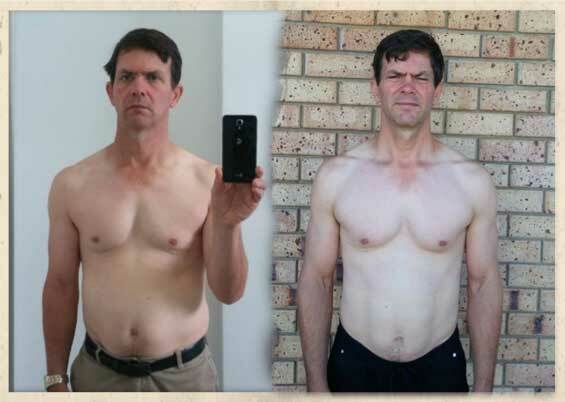 Old School Muscle (OSM) is the world's first muscle building program designed exclusively for busy fathers over 40 who want to pack on lean muscle and strength in a way that's safe, time-efficient, research-proven, and actually sustainable. 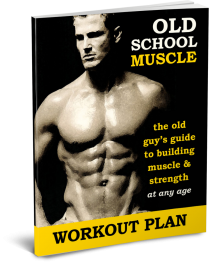 Old School Muscle combines the time-tested muscle building principles of legendary bodybuilders with the cutting-edge new school science of building muscle after 40. 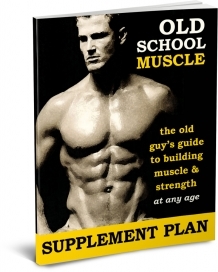 Old School Muscle hands you a proven exercise, nutrition, & supplementation plan that produces fast muscle building results exclusively for the body of guys over 40. HERE ARE JUST A FEW OF THE THOUSANDS OF OUR SUCCESSFUL MEN USING OLD SCHOOL MUSCLE TO BUILD BODIES THEY'RE PROUD OF. OSM IS BUILT FOR REAL MEN WITH BUSY JOBS, FAMILIES, BUMPS, BRUISES, & BATTLESCARS FROM LIFE. 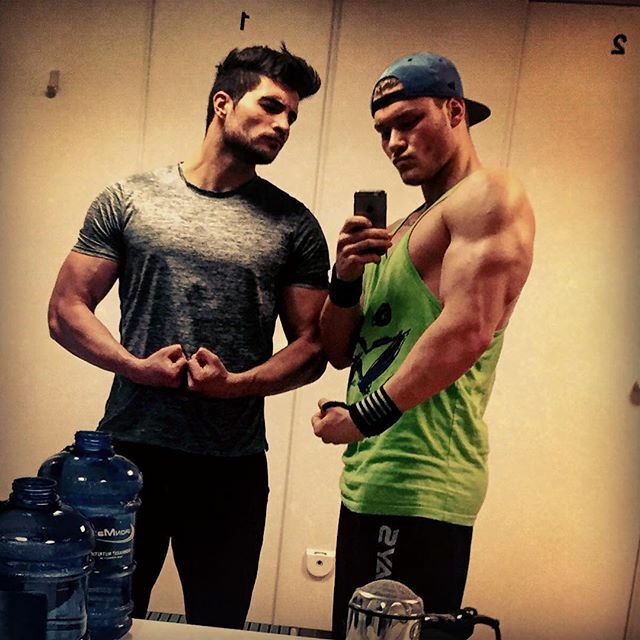 NOT ROIDED UP BODYBUILDERS. *Please keep in mind that results vary by individual. You don’t need to do any thinking. Just follow the step-by-step workout and meal plan. The safe OSM workouts are built for guys in their 40s, 50s, & 60s to get killer results without injury. We hand you the full program to follow step-by-step. You’ll take each week at a time. Try that with those 19 disk sets they sell on late night TV. 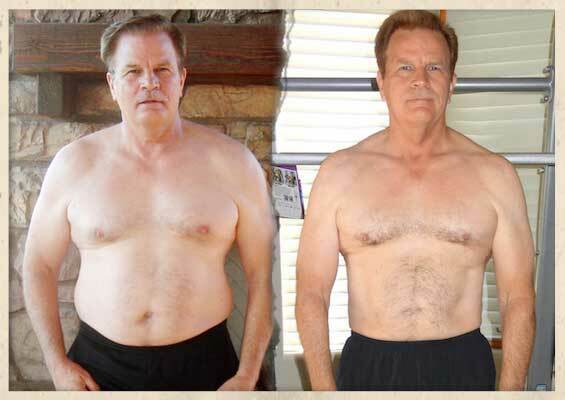 With OSM, you'll build the key eating & exercise habits to make this a lifestyle transformation. This is the #1 difference maker. This isn’t a book or DVD you’ll buy and leave on your shelf. I’m in your ear coaching you from Day #1. OSM covers every facet of building muscle after 40: exercise, nutrition, supplementation, & mindset. 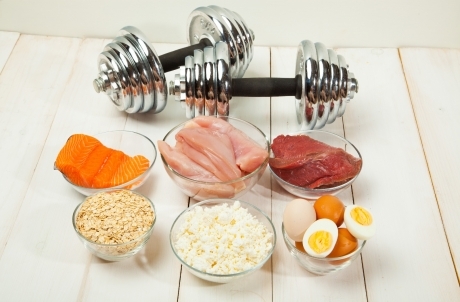 Exactly what to eat to build lean muscle without gaining fat. You'll get exact recipes, meal schedules, grocery shopping lists. The OSM recipes and meals are simple, delicious, and super easy to make. You won't spend more than 10 minutes cooking. Exactly which safe muscle building exercises to do, set-by-step, to pack on muscle. You'll receive the complete 9-week training plan, exercise form guides, & warm-up and cooldown routines. This is a training program that you can revisit for years to come whenever you want to add a bit more muscle to your frame. You'll also discover exactly which safe, research-proven supplements you can take to help with muscle building. You don't need supplements to build muscle as you'll see with OSM. These supplement stacks simply speed things up a bit. 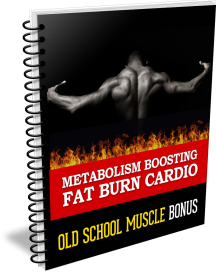 This bonus e-book will show you how you can do some proven high-intensity cardio workouts on your rest days to strip off belly fat and boost your metabolism while building muscle. These fat burn cardio workouts only take 25 min to complete. You'll also receive our full exercise video library with links to the perfect form guides for all the best safe muscle building exercises. We constantly update this guide with new exercises. With OSM, you'll always have the latest updates FREE. VERY IMPORTANT! I am including these powerful bonus resources ONLY for the FIRST 500 men who take action and get started on this proven program to REWARD the action-takers who fully commit today. WHAT ARE YOU GOING TO PAY FOR ALL THIS? Less than a family dinner. Too good to be true...? Tell that to my dad. I made him a promise, and I’m keeping it here. 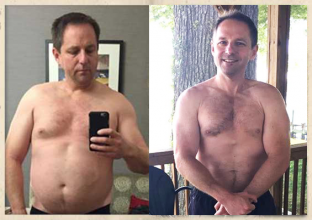 If I can help you, a father, husband, and son get strong, muscular, fit and healthy for life… I win. It’s not about the money. I can (and do, actually) train men for over $5000 a month getting the same results. This program, the coaching, & the guarantee are part of my life mission. Lifetime Updates. No recurring charges. Just $97. 100% Guaranteed. 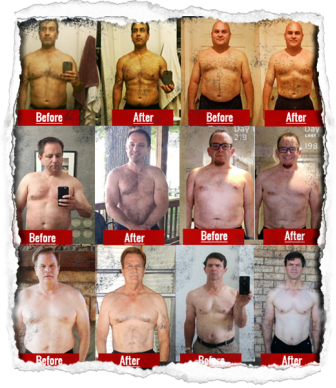 From all the success stories and years of research put into building this program, I’m so confident that Old School Muscle is the surest, safest, simplest path to building muscle and looking like an absolute champion for you as a man over 40, I’m willing to put my money where my mouth is and guarantee it for you. 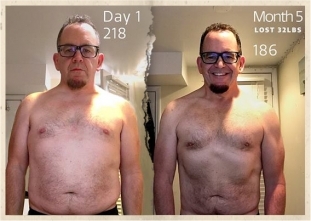 If you’re not absolutely, positively shocked by the “new you” that you see in the bathroom mirror at the end of the 8 weeks on this “Old School Muscle” journey with me, simply send an email to “support@fitfatherproject.com” and ask for a refund any time within 90 days of purchasing the program. My team and I will give you a full, prompt and courteous refund on the spot. No questions asked. Get Old School Muscle - for just $97. You'll get instant access to everything after completing your order on the very next page. GET STARTED RIGHT NOW FOR $97. What equipment will I need for my Old School Muscle workouts? ⎝ All the OSM workouts can be completed with dumbbells and a weight bench. We also give you options for barbell and machine exercises if you have access to those pieces of equipment too. 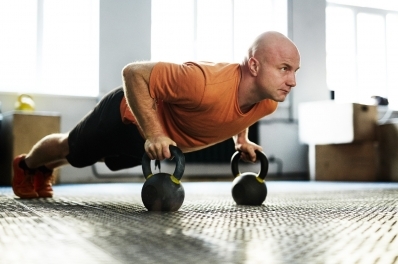 What makes these workouts specifically geared for guys over 40? 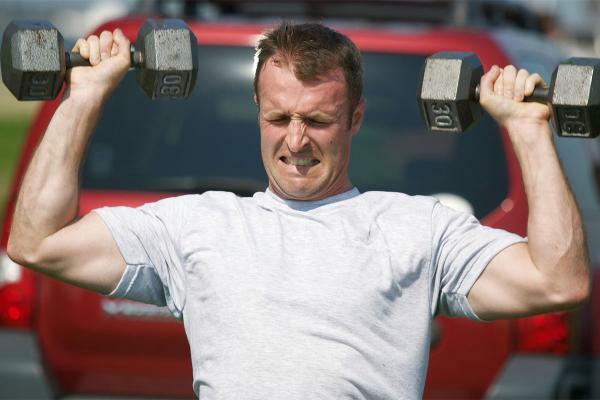 ⎝ Guys over 40 need the proper: 1) training frequency (how often you hit each muscle group. 2) volume (how many sets per body part per workout that you do). 3) periodization (how often we change up exercises, sets, and reps over the course of a month's training. Everything about the OSM Workout Program is geared for the research-backed training frequency, volume, and periodization to maximize muscle building. Additionally, all the best muscle building exercises (squats, bench, deadlifts, pull-ups) are modified with some special form tweaks to make them easier on aging shoulders, knees, and backs - while still producing great results. How long is the Old School Muscle workout program? ⎝ The OSM workout program is a 9-week training block. From our understanding of the latest strength research available, ~9-week training blocks are the optimal amount of time for structured workouts before we need to mix things up. That said, OSM is a training program that we recommend you revisit several times per year to keep your body building muscle. How is the Old School Muscle Program delivered to me? ⎝ Like all of our world class training programs, Old School Muscle is instantly delivered to you inside our private program training area where you'll find all your meal plans, workout videos, and accountability check-in modules. Unlike books and DVD programs that have no interactive component and no way to track your progress, we designed OSM to walk you through the entire program from Day #1 in step-by-step workouts and lessons. The value of this accountability coaching makes this program incredibly effective. *REQUIRED FTC DISCLAIMER: Results are atypical, and your results may vary. Testimonials are not purported to be typical results, and your weight loss, if any, may vary. Please see our full FTC Legal Disclaimer for a comprehensive disclaimer of risks of use, typical results, testimonials, and other legal items. Although our products are intended to be fully implemented, and we work hard to ensure it’s easy to do so, the typical user of virtually all education products treats them in much the same way they treat a book. The vast majority read or skim through it once, then do not implement the program or take any recommended action based. The results of our exercise methodology are intangible, and not measured in fat loss, muscle gain, abdominal definition, or other positive results of any kind. And even when consumers implement our product in full, more often than not they do not report increases in fat loss, muscle gain, abdominal definition, or other positive results of any kind. Reports of specific fat loss, muscle gain, abdominal definition, or any positive results of any kind should therefore be understood as the exception rather than the rule. Consumers who use our products can generally expect not to see any increase in fat loss, muscle gain, abdominal definition, or positive results of any kind. 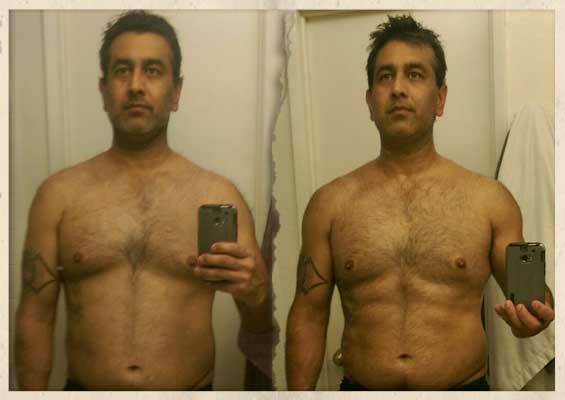 It is entirely possible you will gain fat, lose muscle, lose abdominal definition, and experience other negative outcomes as a result of the advice contained in our products. *TESTIMONIALS DISCLAIMER: testimonials found at fitfatherproject.com and/or other websites owned by AMB Wellness Partners LLC are unverified results that have been forwarded to us by users of our programs, and may not reflect the typical purchaser’s experience (as are described above,) may not apply to the average person and are not intended to represent or guarantee that anyone will achieve the same or similar results. 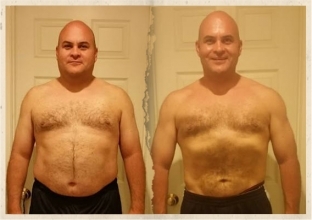 If we have disclosed typical results based on information provided to us by a manufacturer or other reputable third party source, you should presume that the typical results as stated are more reliable than the testimonials and other examples found at fitfatherproject.com and/or from FFP. However, you should always perform due diligence and not take such results at face value. We are not responsible for any errors or omissions in typical results information supplied to us by manufacturers or other reputable third parties. If a product or service is new, you understand that it may not have been available for purchase long enough to provide an accurate results history. 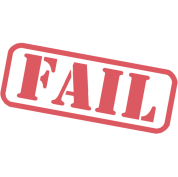 Again, it is possible that even with perfect use of the program, you will not achieve the results described in testimonials. They are meant to be a showcase of the best results the program has produced, and should not be taken as the results a typical user will get. 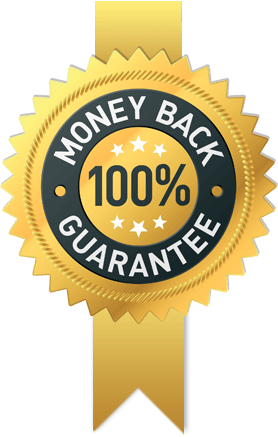 PROGRAM GUARANTEES: We offer a 100% money back guarantee on all of our programs – including membership sites for 60-days after the initial purchase. To initiate a refund, simply email support@fitfatherproject.com with your order number, and we will give you a full, prompt, and courteous refund within 1-3 business days. These guarantees are also outlined on all of our product and program sales pages. FOR INFORMATIONAL PURPOSES ONLY: It is the intent of AMB WELLNESS PARTNERS LLC (“Sponsor") to operate products through this Website consistent with the work of Dr. Anthony Balduzzi, NMD. However, Sponsor is not a healthcare practitioner or provider. To the extent that any information is provided through this Website, it is for general informational purposes only and is not intended to constitute or substitute for (i) medical advice or counseling, (ii) the practice of medicine including but not limited to psychiatry, psychology, psychotherapy or the provision of health care diagnosis or treatment, (iii) the creation of a physician-patient or clinical relationship, or (iv) an endorsement, a recommendation or a sponsorship of any third party, product or service by the Sponsor or any of the Sponsor's related companies, agents, employees, consultants or service providers. If you have or suspect that you have a medical problem, contact your health care provider. Information and statements regarding dietary supplements available on this Website have not been evaluated by the Food and Drug Administration and are not intended to diagnose, treat, cure, or prevent any disease.